The E-Commerce GBS session 2017 is a week-end intensive seminar for the Sales MBA students and executive participants. The semainar takes place on Sat. 16th and Sun. 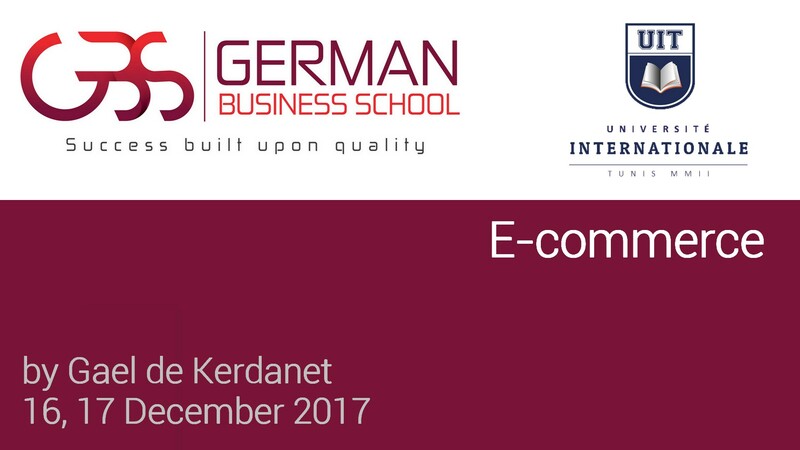 17th December 2017 at German Business School with Digital Marketing Strategy expert Gael de Kerdanet. The E-commerce seminar lets you define online transaction opportunities for Businesses: E-Business or Traditional Business. With a strategic understanding, managers must be able to choose tools, build, implement and pilot processes using technologies for electronic commerce. E-commerce specifications (CTA, Sales funnel, sales optimisation).